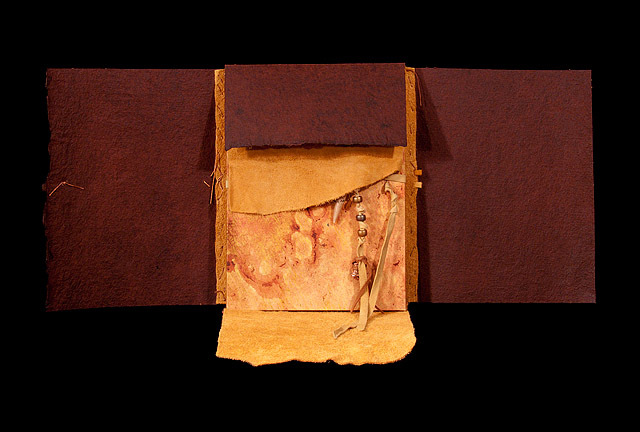 Unique calligraphic manuscript accordion book. 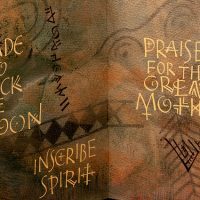 Symbols from Newgrange, a 5000-year-old passage grave in Ireland whose meaning has never been fully interpreted, are made with oil pastel for the underlayer on a full sheet of Arches Text Wove paper. 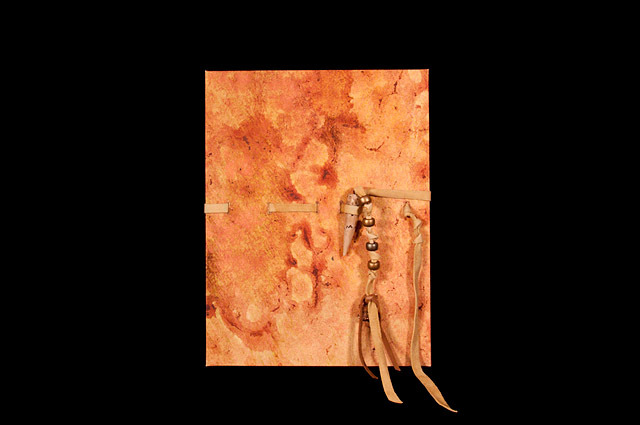 The paper is then paste painted in colors to evoke a cave wall. 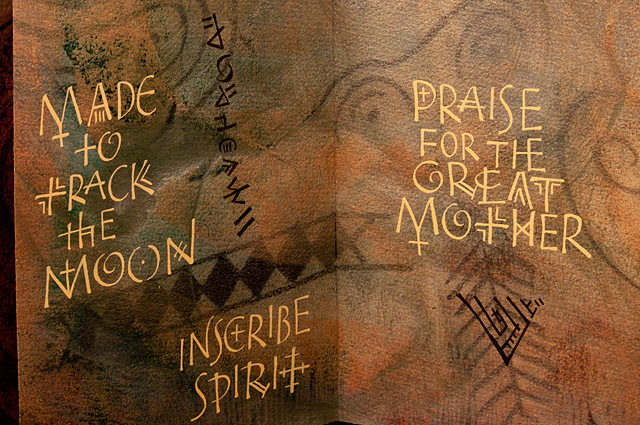 Pages are folded, and calligraphy made throughout in gouache with broad pen, writing a poem by the artist. 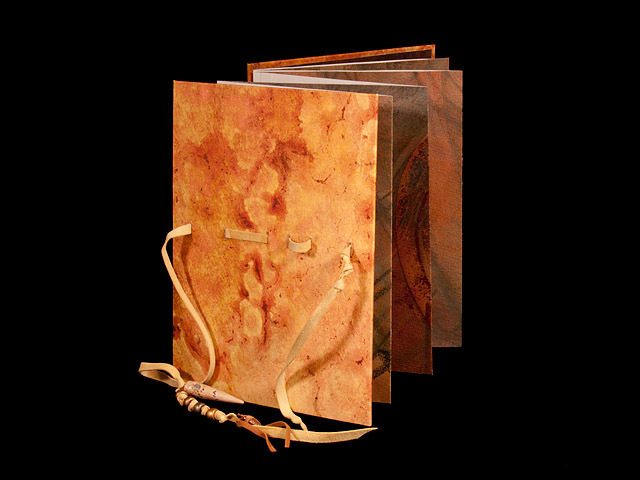 Painted paper using a spatter method with metallic inks over boards is used for endpapers and also to cover boards for front and back covers. 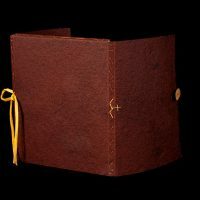 Leather strap and loop closure with bead and knot decoration keeps the book bound together. 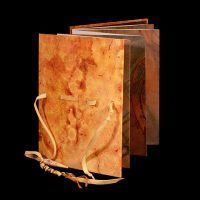 It can also be stretched out to see all the pages at once. 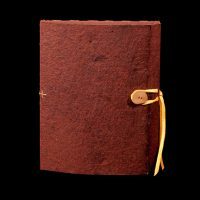 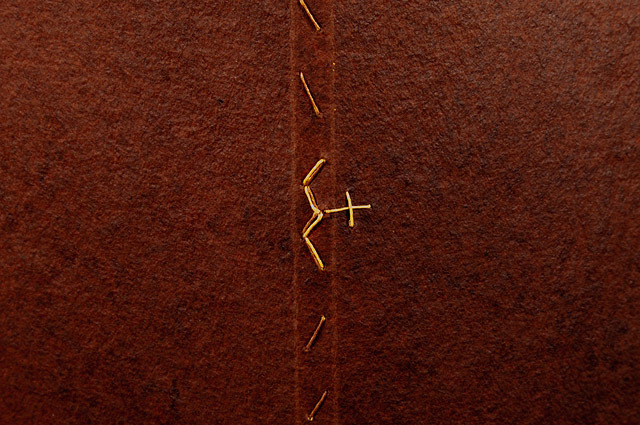 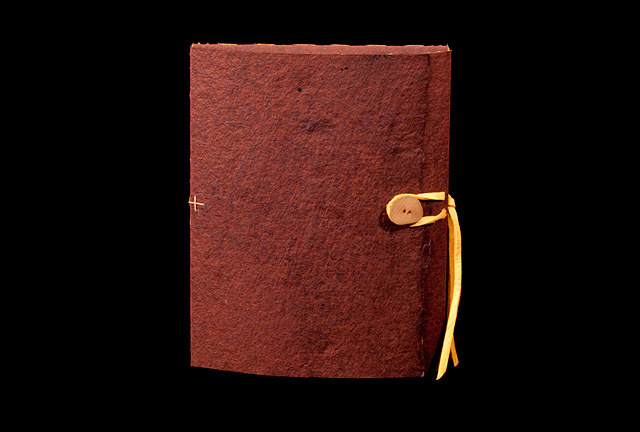 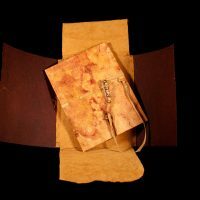 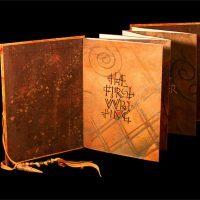 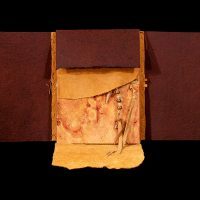 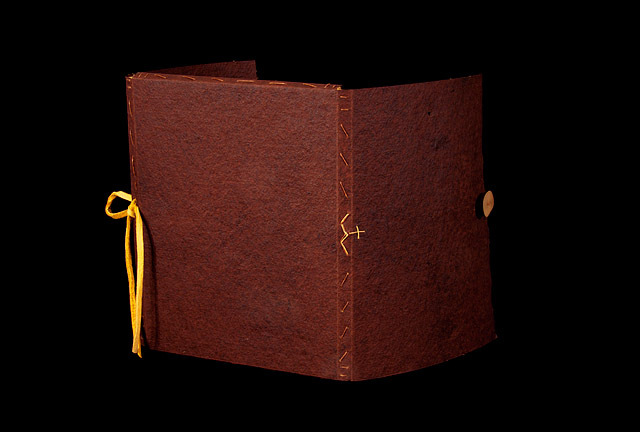 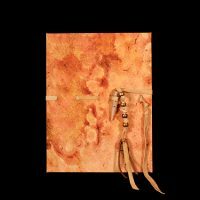 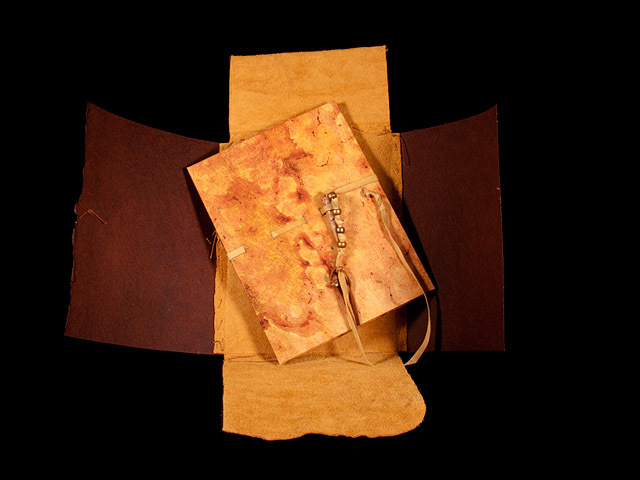 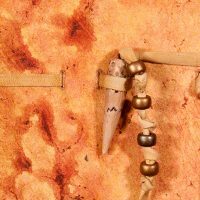 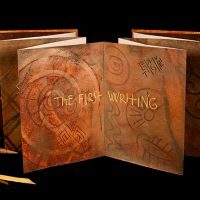 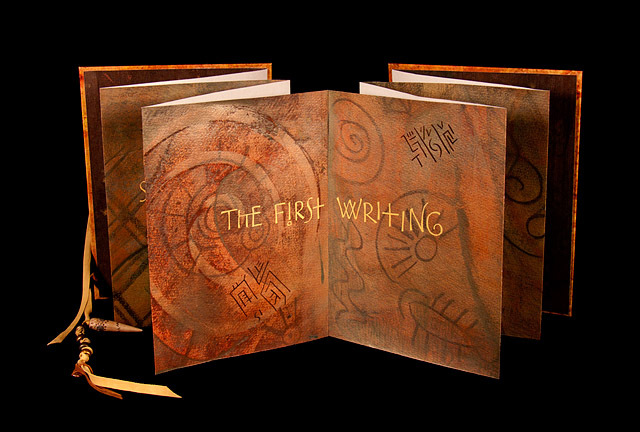 Book is housed in a wraparound case made of dark brown Cave paper and lined with gold-tanned deerskin. 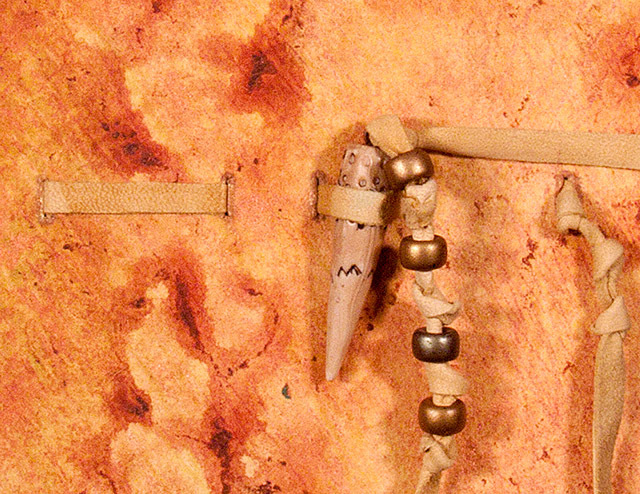 Leather strap closure and loop with a carved deer antler button secures the package. 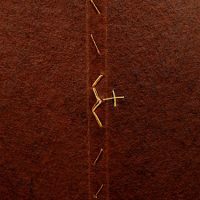 Visible stitching along spine edges of the case, on the spine a glyph from the sacred script of Old Europe, a W or M with a cross. 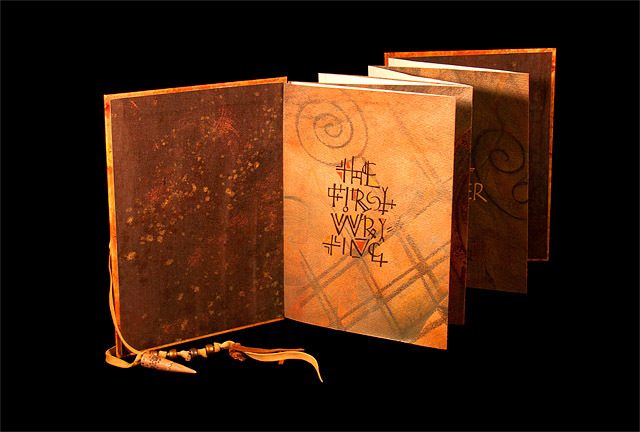 This is the original book from which the artwork was used to make the limited edition.